No 5 Commando was formed in Bridlington on the 18th July 1940 and was commanded by Lt. Col. S.P. Wood. Shortly afterwards the Commando moved to Dover, and then on to Helensburgh. It was reorganised into the 5th Special Service Battalion, but was soon redesignated No.5 Commando again on the 26th Febuary 1941. The first recorded raid by the men of No.5 took place on the 30/31st August 1941. Two parties, each of one officer and fourteen OR’s, targeted beaches at Hardelot and Merlimot west of Boulogne. Neither raiding party made contact with enemy, but lessons were learnt on raiding tactics. 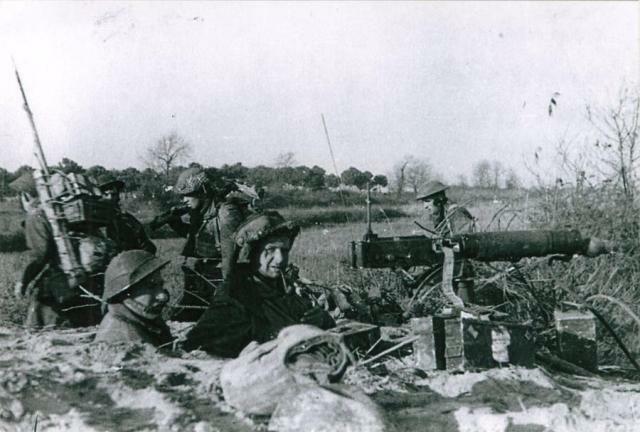 On the 28th March 1942 three demolition teams from No 5 Commando took part in Operation Chariot. This was a Combined Operations raid led by No 2 Commando, supported by detachments from other Commando units, to destroy the dry dock at St Nazaire. The three teams were led by Lt's. Burtinshaw, Smalley, and Chant, their role being to destroy targets in the immediate area of where HMS Campbeltown would ram the dock gates. The raid was a complete success but casualties were high and included Lt's Burtinshaw and Smalley. The teams for Operation Chariot had been detached from the Commando for training prior to the raid, and it was during this period, on the 23rd March 1942, that most of No.5 Commando sailed to participate in the ‘Operation Ironclad’ landings on Madagascar. In August 1943 all Commando units were restructured to form 4 Special Service Brigades, later redesignated in 1944 as Commando Brigades. Each Brigade consisted of several Commando Units which, whilst operating together at times, would also retain their own identity. On their return to the UK, No. 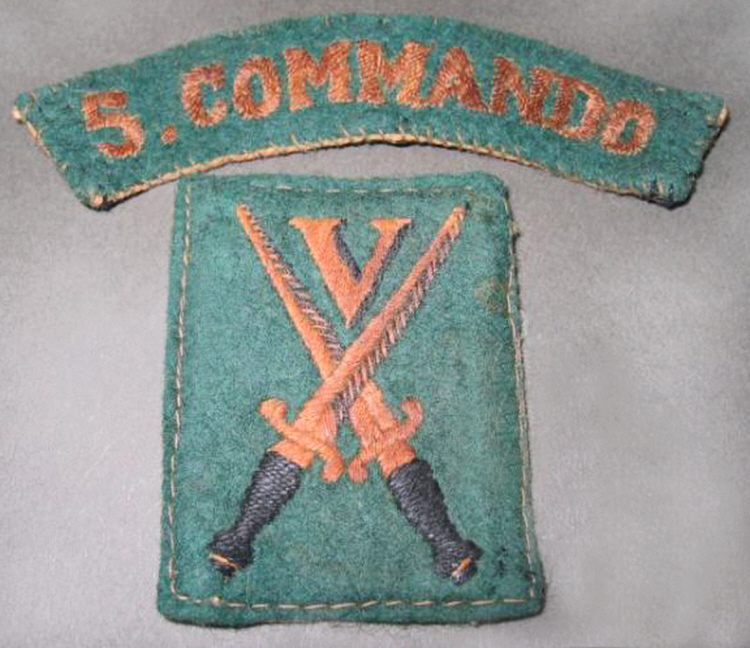 5 Commando, now commanded by Lt Col. D.M. Shaw MC, became part of 3 Special Service Brigade. In November 1943, 3 Special Service Brigade sailed from Gourock for India. In September 1944 Lt Col. C.J.B. 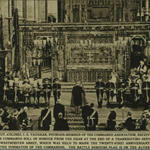 Pollitt assumed command from Lt Col Shaw. 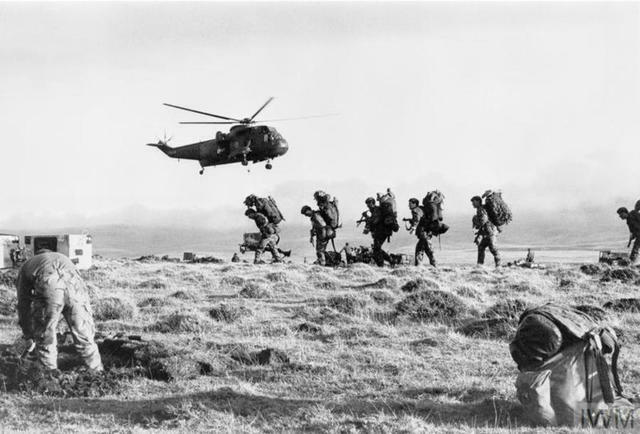 No 5 Commando was involved throughout the actions in the Arakan in Burma, with landings at Akyab and Myebon. Closely following these engagements, No 5 Commando took part in the actions at Kangaw (Hill 170) and Daingbon. When he was wounded during an engagement at Hill 170, Lt Col Pollitt relinquished his command to his 2i/c Major C.R.M. Stuart who was promoted Lt. Col.
After Burma the Commando was withdrawn to India to prepare for Operation ‘Zipper’ the invasion of Malaya. Zipper being abandoned after the cessation of hostilities No. 5 Commando found itself in Hong Kong on policing duties. Because of the loss of men through demobilisation, No. 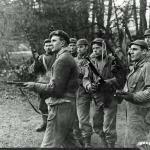 5 and No.1 were amalgamated to form 1/5 Commando until on 23rd March 1946 it was disbanded. Click/touch No 5 Commando below for additional content, or follow the links below to specific content entries.